This community is a 33-acre oasis developed with a quaint island atmosphere in mind, and offers scenic views of stocked freshwater lakes, yet is conveniently located being only minutes from beaches, shopping, and theatres. 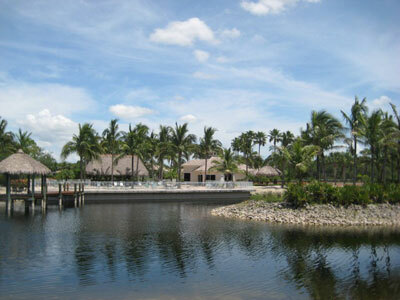 This upscale, gated community features just 168 homes including villas, coach homes, and condominiums. Amenities of this community include a clubhouse; a swimming pool; and several tennis courts.